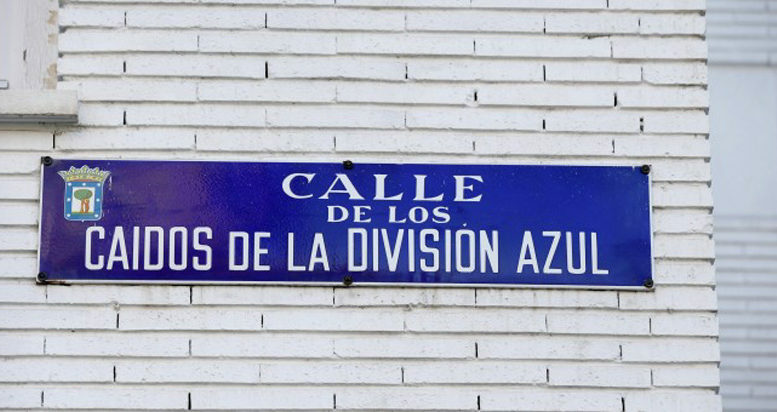 The Madrid municipal council has voted to approve a recommendation presented by the city’s special Historical Memory commission that will see the removal of current signage on 52 of the capital city’s streets, plazas and other public places previously named to honor the right-wing military uprising that sparked Spain’s bloody 1936-399 Civil War or that glorify leading Nationalist figures or events of the war or heroes of the 36-year dictatorship under Gen. Francisco Franco that followed. During a heated session before an unruly audience in the council chambers on Friday, the motion to remove the old signage and replace it with new signs honoring a broad range of individuals and groups associated with democracy, equality and human rights struggles in Spain was approved with the unanimous support of councilors from Mayor Manuela Carmena’s Ahora Madrid coalition, the Socialist party (PSOE) and centre-right Ciudadanos. Representatives of the conservative Partido Popular (PP) abstained on the vote.